If you’re a beauty junkie and you don’t have a cosmetics bag then your life is pretty much over. Without one you’ll spend the rest of your life rummaging around in your bag looking for your lipstick and an eternity looking for your concealer. It’s just another hassle we don’t need, am I right? I love breaking in a new cosmetics bag. There’s something oh-so satisfying about it. This beauty is from Dutch company Hema and I think it’s fabulous. I bet you can’t guess why I love it so much. 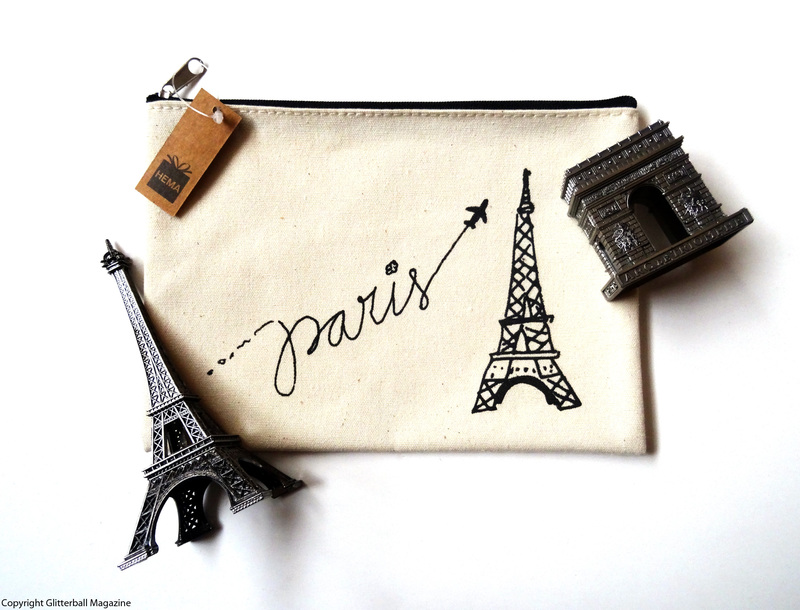 Ok, so I am that obvious… I love the Eiffel Tower drawing and the cute little plane! It’s made from cotton which makes it incredibly easy to wash if it ends up a little dirty.